Abbasi A., Sarker S., Chiang R.H. (2016), Big Data Re-search in Information Systems: Toward an Inclusive Research Agenda, Journal of the Association for Information Systems, 17, 2. Agarwal S., Krishna Erramilli M., Dev C.S. (2003), Market orientation and performance in service firms: role of innovation, Journal of services marketing, 17, 1, pp. 68-82. Doi: 10.1108/08876040310461282. Anandarajan M., Anandarajan A., Srinivasan C.A. (2012), Business intelligence techniques: a perspective from accounting and finance, Springer Science & Business Media. Andersen T.J. (2004), Integrating decentralized strategy making and strategic planning processes in dynamic environments, Journal of management studies, 41, 8, pp. 1271-1299. Doi: 10.1111/j.1467-6486.2004.00475.x. Aronson J.E., Liang T.P., Turban E. (2005), Decision sup-port systems and intelligent systems, Pearson Prentice-Hall. Baars H., Kemper H.G. (2008), Management support with structured and unstructured data—an integrated business intelligence framework, Information Systems Management, 25, 2, pp. 132-148. Doi: 10.1080/10580530801941058. Balusamy B., Jha P., Arasi T., Velu M. (2017), Predictive Analysis for Digital Marketing Using Big Data: Big Data for Predictive Analysis. In Handbook of Research on Ad-vanced Data Mining Techniques and Applications for Busi-ness Intelligence, IGI Global, pp. 259-283. Berman K., Knight J., Case J. (2008), Financial intelligence for IT professionals: What you really need to know about the numbers. Harvard Business Press. Berman K., Knight J. (2013), Financial Intelligence, Revised Edition: A Manager’s Guide to Knowing What the Numbers Really Mean, Harvard Business Review press. Bernhardt D.C. (1995), I want it fast, factual, actionable—tailoring competitive intelligence to executives’ needs, Long Range Planning, 27, 1, pp. 12-24. Bianchi M., Kaklauskas A., Imoniana J.O., Orelli R.L., Tampieri L. (2012), The evaluation of networks perfor-mance in cultural heritage through intelligent systems, In Information Systems: crossroads for organization, management, accounting and engineering, Springer-Verlag HD, pp. 387-395. Binner J.M., Gazely A.M., Chen S.H., Chie B.T. (2004), Financial Innovation and Divisia Money in Taiwan: Comparative Evidence from Neural Network and Vector Er-ror‐Correction Forecasting Models, Contemporary Economic Policy, 22, 2, pp. 213-224. Doi: 10.1093/cep/byh015. Binner J.M., Kendall G., Chen S.H. (Eds.) (2004), Applications of artificial intelligence in finance and economics, Emerald Group Publishing Limited. Boddy D., Boonstra A., Kennedy G. (2008), Managing information systems: Strategy and organization, Pearson Education. Bock A.J., Opsahl T., George G., Gann D.M. (2012), The effects of culture and structure on strategic flexibility during business model innovation, Journal of Management Studies, 49, 2, pp. 279-305. Bose I., Mahapatra R.K. (2001), Business data mining—a machine learning perspective, Information & management, 39, 3, pp. 211-225. Doi: 10.1016/S0378-7206(01)00091-X. Brennan A., Dooley L. (2005), Networked creativity: a structured management framework for stimulating in-novation, Technovation, 25, 12, pp. 1388-1399. Doi: 10.1016/j.technovation.2004.08.001. Breymann W., Dias A., Embrechts P. (2003), Dependence structures for multivariate high-frequency data in finance. Quantitative Finance 1, pp. 1–14. Brown R.M., Gatian A.W., Hicks Jr, J.O. (1995), Strategic information systems and financial performance, Journal of Management Information Systems, 11, 4, pp. 215-248. Doi: 10.1080/07421222.1995.11518065. Buttignon F. (1990), La strategia aziendale e il valore economico del capitale, Padova, Cedam. Calof J., Wright S. (2008), Competitive Intelligence: a practitioner, academic and inter-disciplinary perspective. European, Journal of Marketing, 42, 7-8, pp. 717-730. Doi: 10.1108/03090560810877114. Carneiro A. (2000), How does knowledge management influence innovation and competitiveness?, Journal of knowledge management, 4, 2, pp. 87-98. Chaffey D., Ellis-Chadwick F., Mayer R., Johnston, K. (2009), Internet marketing: strategy, implementation and practice, Pearson Education. Chaffey D., Ellis-Chadwick, F. (2016), Digital marketing, Prentice Hall. Chandramouli B., Goldstein J., Duan, S. (2012), Temporal analytics on big data for web advertising. In Data Engineering (ICDE), 2012 IEEE 28th International Conference on, pp. 90-101. Che D., Safran M., Peng Z. (2013), From big data to big data mining: challenges, issues, and opportunities. In: International Conference on Database Systems for Ad-vanced Applications, Springer, Berlin, Heidelberg, pp. 1-15. Chen H., Chiang R.H., Storey V.C. (2012), Business intelli-gence and analytics: From big data to big impact, MIS quarterly, 36, 4, pp. 1165-1188. Chen S.H., Wang P.P. (2004), Computational intelligence in economics and finance. In: Computational Intelligence in Economics and Finance, Springer, Berlin, Heidelberg, pp. 3-55. Chen C.P., Zhang C.Y. (2014), Data-intensive applications, challenges, techniques and technologies: A survey on Big Data, Information Sciences, 275, pp. 314-347. Crane A. (2005), In the company of spies: When competitive intelligence gathering becomes industrial espionage, Business Horizons, 48, 3, pp. 233-240. Cropley A. (2006), In praise of convergent thinking, Creativity research journal, 18, 3, pp. 391-404. Doi: 10.1207/s15326934crj1803_13. Coda V. (1989), Orientamento strategico dell’impresa, Torino, Utet. Collis D.J., Rukstad M.G. (2008), Can you say what your strategy is?, Harvard business review, 86, 4, pp. 82-90. Crane A. (2005), In the company of spies: When competitive intelligence gathering becomes industrial espionage, Business Horizons, 48, pp. 233-240. Cui B., Mei H., Ooi B.C. (2014), Big data: the driver for innovation in databases, National Science Review, 1, 1, pp. 27-30. Doi: 10.1093/nsr/nwt020. Culasso F. (2014), Information technology e controllo strategico, Milano, Giuffrè. Dandapani K. (2008), Growth of e-financial services: Introduction to the special issue, Managerial Finance, 34, 6, pp. 361-364. Davenport T.H. (2012), Business intelligence and organizational decisions, Organizational Applications of Business Intelligence Management: Emerging Trends: Emerging Trends, 1. Davenport T.H., Barth P., Bean R. (2012), How big data is different, MIT Sloan Management Review, 54, 1, pp. 43. Davison L. (2001), Measuring Competitive Intelligence Effectiveness: Insights from the Advertising Industry, Competitive Intelligence Review, 12, pp. 25-38. Doi: 10.1002/cir.1029. Debortoli S., Muller O., Vom Brocke J. (2014), Comparing business intelligence and big data skills, Business & In-formation Systems Engineering, 6, 5, pp. 289-300. Dong, X.D., Zhang Z., Hinsch C.A., Zou, S. (2016), Reconceptualizing the elements of market orientation: A process-based view, Industrial Marketing Management, 56, pp. 130-142. Dul J., Ceylan C. (2014), The Impact of a Creativity supporting Work Environment on a Firm’s Product Innovation Performance, Journal of Product Innovation Management, 31, 6, pp. 1254-1267. Doi: 10.1111/jpim.12149,hdl.handle.net/1765/51623. Easley D., Hvidkjaer S., O’hara M. (2002), Is information risk a determinant of asset returns?, The journal of finance, 57, 5, pp. 2185-2221. Edelman D.C. (2010), Branding in the digital age, Harvard business review, 88, 12, pp. 62-69. Edvinsson L., Malone M.S. (1997), Intellectual capital – Realizing your company’s true value by finding its hidden brainpower, Harper Business Publisher, New York. Eggers F., Hatak I., Kraus S., Niemand T. (2017), Technologies that support marketing and market development in SMEs—evidence from social networks, Journal of small business management, 55, 2, pp. 270-302. Doi: 10.1111/jsbm.12313. Elbashir M.Z. (2008), Measuring the effects of business intelligence systems: The relationship between business process and organizational performance, International Journal of Accounting Information Systems, 9, 3, pp. 135–153. Doi: 10.1016/j.accinf.2008.03.001. Elbashir M.Z., Collier P.A., Davern M.J. (2008), Measuring the effects of business intelligence systems: The relationship between business process and organizational performance, International Journal of Accounting Information Systems, 9, 3, pp. 135-153. Doi: 10.1016/j.accinf.2008.03.001. Elbashir M.Z., Collier P.A., Sutton S.G. (2011), The role of organizational absorptive capacity in strategic use of business intelligence to support integrated management control systems, The Accounting Review, 86, 1, pp. 155-184. Doi: 10.2308/accr.00000010. Elliot E.A., Nakata C. (2013), Cross‐Cultural Creativity: Conceptualization and Propositions for Global New Product Development, Journal of Product Innovation Management, 30, 1, pp. 110-125. Erevelles S., Fukawa N., Swayne L. (2016), Big Data consumer analytics and the transformation of marketing, Journal of Business Research, 69, 2, pp. 897-904. Doi: 10.1016/j.jbusres.2015.07.001. Farjoun M. (2002), Towards an organic perspective on strategy, Strategic Management Journal, 23, 7, pp. 561-594. Doi: 10.1002/smj.239. Fedorowicz J., Laso-Ballesteros I., Padilla-Meléndez A. (2008), Creativity, innovation, and e-collaboration, International Journal of E-collaboration, 4, 4, p. 1. Doi: 10.4018/jec.2008100101. Fethi M.D., Pasiouras F. (2010), Assessing bank efficiency and performance with operational research and artificial intelligence techniques: A survey, European journal of operational research, 204, 2, pp. 189-198. Doi: 10.1016/j.ejor.2009.08.003. Fiorentino R. (2010), Performance measurement in strategic changes, in Epistein, M.J., Manzoni J.F. and Davila A., Performance measurement and management control: innovative concepts and practices, Book series: Studies in Managerial and Finacial Accounting, 20, pp. 253-283. Fleisher C.S. (2008), Using open source data in developing competitive and marketing intelligence, European journal of marketing, 42, 7-8, pp. 852-866. Galeotti M. (2009), Strategic Intelligence: il sistema delle informazioni e delle analisi per la gestione strategica, In Conference:“Predictive Enterprise”, Roma. Galeotti M., Garzella S. (2013), (a cura di), Governo strategico dell’azienda, Giappichelli, Torino, cap. 19. Galeotti M., Garzella S., Fiorentino R., Della Corte G. (2016), The Strategic Intelligence implications for Information Systems, Management Control, 1, pp. 105-123. Doi: 10.3280/MACO2016-001007. Gandomi A., Haider M. (2015), Beyond the hype: Big data concepts, methods, and analytics, International Journal of Information Management, 35, 2, pp. 137-144. Garzella S. (2000), I confini d’azienda. Un approccio strategico, Giuffrè, Milano. 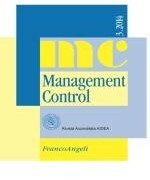 Garzella S., Fiorentino R. (2013), How to control enviromental strategy?, Management Control, 1, pp. 45-76. Grant R.M. (2010), Contemporary strategy analysis, Wiley, Chichester. Gaudiano P. (2017), The best approach to decison making combines data and managers’ expertise, Harvard Business Review. Gregory G., Karavdic M., Zou S. (2007), The effects of e-commerce drivers on export marketing strategy, Journal of International Marketing, 15, 2, pp. 30-57. Doi: 10.1509/jimk.15.2.30. Han J., Pei J., Kamber M. (2011), Data mining: concepts and techniques, Elsevier. Hannula M., Pirttimaki V. (2003), Business Intelligence: Empirical Study on the top 50 Finnish Companies, Journal of American Academy of Business, 2, pp. 593-599. Hartmann P.M., Zaki M., Feldmann N., Neely A. (2016), Capturing value from big data–a taxonomy of data-driven business models used by start-up firms, International Journal of Operations & Production Management, 36,10, pp. 1382-1406. Heath T., Bizer C. (2011), Linked data: Evolving the web into a global data space, Synthesis lectures on the semantic web: theory and technology, 1, 1, pp. 1-136. Doi: 10.2200/S00334ED1V01Y201102WBE001. Herzberg, F. (1987), One more time: how do you motivate employees?, Harvard Business Review, Vol. 65 No. 5, pp. 109-20, including a retrospective commentary (originally published in 1968). Hinterhuber H. (1991), La strategia come sistema di espedienti, in Gozzi A. (a cura di), La definizione e la valutazione delle strategie aziendali, Etas, Milano. Holliman G., Rowley J. (2014), Business to business digital content marketing: marketers’ perceptions of best practice, Journal of research in interactive marketing, 8, 4, pp. 269-293. Jamil G.L. (2013), Approaching Market Intelligence concept through a case analysis: Continuous knowledge for marketing strategic management and its complementarity to competitive intelligence, Procedia Technology, 9, pp. 463-472. Jassawalla A.R., Sashittal H.C. (2002), Cultures that support product-innovation processes, The Academy of Management Executive, 16, 3, pp. 42-54. Doi: 10.5465/AME.2002.8540307. Kannan P.K., Li H.A. (2017), Digital marketing: A framework, review and research agenda, International Journal of Research in Marketing, 34, 1, pp. 22-45. Kaplan R.S., Norton D.P. (2000), Balanced Scorecard. Tradurre la strategia in azione, IDEDI, Torino. Kierzkowski A., McQuade S., Waitman R., Zeisser, M. (1996), Current research: marketing to the digital consumer, The McKinsey Quarterly, 2, pp. 180-183. Klein K.J., Sorra J.S. (1996), The challenge of innovation implementation, Academy of management review, 21, 4, pp. 1055-1080. Kohli A.K. (2017), Market Orientation in a Digital World, Global Business Review, 18, 3, pp. S203–S205. Kerr C.I., Mortara L., Phaal R., Probert D.R. (2006), A conceptual model for technology intelligence, International Journal of Technology Intelligence and Planning, 2, 1, pp. 73-93. Kim W.C., Mauborgne C.A. (2005), Blue Ocean Strategy, Boston, Harvard Business School Press. Kuosa T. (2011), Different approaches of pattern management and strategic intelligence, Technological Forecasting and Social Change, 78, 3, pp. 458-467. Lackman C., Saban K., Lanasa J. (2000), The contribution of market intelligence to tactical and strategic business decisions, Marketing Intelligence & Planning, 18, 1, pp. 6-9. Lamberton C., Stephen A.T. (2016), A thematic exploration of digital, social media, and mobile marketing: research evolution from 2000 to 2015 and an agenda for future inquiry, Journal of Marketing, 80, 6, pp. 146-172. LaValle S., Lesser E., Shockley R., Hopkins M.S., Kruschwitz N. (2011), Big data, analytics and the path from insi-ghts to value, MIT sloan management review, 52, 2, p. 21. Leeflang P.S., Verhoef P.C., Dahlström P., Freundt T. (2014), Challenges and solutions for marketing in a digital era, European management journal, 32, 1, pp. 1-12. Levine S.S., Bernard M., Nagel R. (2017), Strategic intelligence: the cognitive capability to anticipate competitor behavior, Strategic Management Journal, 38, 12, pp. 2390-2423. Li S., Li J.Z., He H., Ward P., Davies B.J. (2011), WebDigital: A Web-based hybrid intelligent knowledge automation system for developing digital marketing strate-gies, Expert Systems with Applications, 38, 8, pp. 10606-10613. Liebowitz J. (2006), Strategic intelligence: business intelligence, competitive intelligence, and knowledge management, CRC Press. Lindstrom M. (2016), Small Data, St Martin Press. Lukman T., Hackney R., Popovič A., Jaklič J., Irani Z. (2011), Business intelligence maturity: the economic transitional context within Slovenia, Information Systems Management, 28, 3, pp. 211-222. Maglio P.P., Lim, C.H. (2016), Innovation and big data in smart service systems, Journal of Innovation Management, 4, 1, pp. 11-21. Makadok R., Barney J.B. (2001), Strategic factor market intelligence: An application of information economics to strategy formulation and competitor intelligence, Management Science, 47, 12, pp. 1621-1638. Malhotra R., Malhotra D.K. (2006), The impact of inter-net and e-commerce on the evolving business models in the financial services industry, International Journal of Electronic Business, 4, 1, pp. 56-82. Mancini D., Vaassen E.H., Dameri R.P. (2013), Accounting Information Systems for Decision Making, Springer, Heidelberg, Berlin. Manyika J., Chui M., Brown B., Bughin J., Dobbs R., Roxburgh C., Byers A.H. (2011), Big data: The next frontier for innovation, competition, and productivity. Markides C.C. (1997), Strategic innovation, Sloan management review, 38, 3. Markides C.C. (2013), Game-changing strategies: How to create new market space in established industries by breaking the rules, John Wiley & Sons. Markides C.C., Anderson J. (2006), Creativity is not enough: ICT-enabled strategic innovation, European Journal of Innovation Management, 9, 2, pp. 129-148. Doi: 10.1108/14601060610663532. Martensen A., Dahlgaard J.J. (1999), Strategy and planning for innovation management supported by creative and learning organisations, International Journal of Quality & Reliability Management, 16, 9, pp. 878-891. Martins E.C., Terblanche F. (2003), Building organisational culture that stimulates creativity and innovation, European journal of innovation management, 6, 1, pp. 64-74. McAdam R., McClelland J. (2002), Individual and team-based idea generation within innovation management: organisational and research agendas, European Journal of Innovation Management, 5, 2, pp. 86-97. Doi: 10.1108/14601060210428186. McAfee A., Brynjolfsson E., Davenport T.H., Patil D.J., Barton D. (2012), Big data: the management revolution, Harvard business review, 90, 10, pp. 60-68. Merali Y., Papadopoulos T., Nadkarni T. (2012), Information systems strategy: Past, present, future?, The Journal of Strategic Information Systems, 21, 2, pp. 125-153. Doi: 10.1016/j.jsis.2012.04.002. Minelli M., Chambers M., Dhiraj A. (2012), Big data, big analytics: emerging business intelligence and analytic trends for today’s businesses, John Wiley & Sons. Miolo Vitali P. (1993), Il sistema delle decisioni aziendali – Analisi introduttiva, Torino, Giappichelli. Mulhern F. (2009), Integrated marketing communications: From media channels to digital connectivity, Journal of marketing communications, 15, 2-3, pp. 85-101. Doi: 10.1080/13527260902757506. Nelli R.P. (2004), Le strategie internet-based delle imprese italiane, Milano, VeP Università. Ni L.M., Tan H., Xiao J. (2016), Rethinking big data in a networked world, Frontiers of Computer Science, 10, 6, pp. 965-967. Nielsen, (2016), Social Media Report. O’Leary D.E. (2013), BIG DATA’, THE ‘INTERNET OF THINGS’AND THE ‘INTERNET OF SIGNS, Intelligent Systems in Accounting, Finance and Management, 20, 1, pp. 53-65. Olszak C.M., Bartùs T., Lorek P. (2017), A comprehensive framework of information system design to provide organizational creativity support, Information & Management, 55,1, pp. 94-108. Doi: 10.1016/j.im.2017.04.004. Olszak C.M., Kisielnicki J. (2016), Organizational Creativity and IT-based Support, Informing Science, 19. Orenga-Roglá S., Chalmeta R. (2016), Social customer relationship management: taking advantage of Web 2.0 and Big Data technologies, SpringerPlus, 5, 1, pp. 1462. Orens R., Aerts W., Cormier D. (2010), Web‐based non‐financial disclosure and cost of finance, Journal of Business Finance & Accounting, 37, 9-10, pp. 1057-1093. Overby E., Bharadwaj A., Sambamurthy V. (2006), Enterprise agility and the enabling role of information technology, European Journal of Information Systems, 15, 2, pp. 120-131. Doi: 10.1057/palgrave.ejis.3000600. Pääkkönen P., Pakkala D. (2015), Reference architecture and classification of technologies, products and services for big data systems, Big Data Research, 2, 4, pp. 166-186. Doi: 10.1016/j.bdr.2015.01.001. Pautasso C., Zimmermann O., Leymann F. (2008), Restful web services vs. big’web services: making the right ar-chitectural decision, In Proceedings of the 17th interna-tional conference on World Wide Web. ACM, 2008, pp. 805-814. Pawar B.S., Sharda R. (1997), Obtaining business intelligence on the Internet, Long Range Planning, 1997, 30, 1, pp. 110-121. Peppard J., Ward J. (2016), The strategic management of information systems: Building a digital strategy, John Wiley & Sons. Perry-Smith J.E., Mannucci P.V. (2017), From creativity to innovation: The social network drivers of the four phases of the idea journey, Academy of Management Review, 42, 1, pp. 53-79. Peters T.J., Waterman, R.H., Angelini E., Ferrara E. and Salinas G. (1984), Alla ricerca dell’eccellenza: lezioni dalle aziende meglio gestite, Sperling & Kupfer. Pittaway L., Robertson M., Munir K., Denyer D., Neely, A. (2004), Networking and innovation: a systematic review of the evidence, International journal of management reviews, 5, 3-4, pp. 137-168. Platen E., Heath D. (2006), A benchmark approach to quantitative finance, Springer Science & Business Media. Popovič A., Hackney R., Coelho P.S., Jaklič, J. (2012), Towards business intelligence systems success: Effects of maturity and culture on analytical decision ma-king, Decision Support Systems, 54, 1, pp. 729-739. Doi: 10.1016/j.dss.2012.08.017. Porter M.E. (1982), La strategia competitive. Analisi per le decisioni, Bologna, Edizioni della Tipografia Compositori. Quagini L. (2004), Business intelligence e knowledge management. Gestione delle informazioni e delle performances nell’era digitale, Milano, FrancoAngeli. Quagli A., Dameri P., Inghirami I. (2007), I sistemi informativi gestionali, Milano, FrancoAngeli. Qihai Z., Tao H., Tao W. (2008), Analysis of business intelligence and its derivative-financial intelligence. In: Electronic Commerce and Security, 2008 International Symposium on. IEEE, pp. 997-1000. Quinton S., Simkin L. (2017), The digital journey: Reflected learnings and emerging challenges, International Journal of Management Reviews, 19, 4, pp. 455-472. Raisinghani M.S. (2003), Business Intelligence in the Digital Economy: Opportunities, Limitations and Risks: Opportunities, Limitations and Risks, Igi Global. Rani K., Rani S.S. (2017), Impact of Big Data analysis in digital marketing, International Journal of Innovative Research and Advanced Studies, 4, 1, pp. 140-142. Reinmoeller P., Ansari S. (2016), The Persistence of a Stigmatized Practice: A Study of Competitive Intelligence, British Journal of Management, 27, 1, pp. 116-142. Doi: 10.1111/1467-8551.12106. Rickards T. (1991), Innovation and creativity: woods, trees and pathways, R&D Management, 21, 2, pp. 97-108. Rispoli M. (1991), Sul processo decisionale strategico, in Gozzi A. (a cura di), La definizione e la valutazione delle strategie aziendali, Milano, Etas. Rispoli, M. (1998), Sviluppo dell’impresa e analisi strategica, Bologna, Il Mulino. Rogers M., Ruppersberger D. (2012), Investigative Report on the US National Security Issues Posed by Chinese Tele-communications Companies Huawei and ZTE: a report, US House of Representatives. Royle J., Laing A. (2014), The digital marketing skills gap: Developing a Digital Marketer Model for the communication industries, International Journal of Information Management, 34, 2, pp. 65-73. Doi: 10.1016/j.ijinfomgt.2013.11.008. Ryan D. (2016), Understanding digital marketing: marketing strategies for engaging the digital generation, Kogan Page Publishers. Saha B., Srivastava D. (2014), Data quality: The other face of big data. In: Data Engineering (ICDE), 2014 IEEE 30th International Conference on. IEEE, pp. 1294-1297. Salahodjaev R. (2015), Intelligence and finance, Personality and Individual Differences, 86, pp. 282-286. Saloner G., Shepard A., Podolny J. (2002), Strategia d’impresa, Milano, Etas. Saloner G., Shepard A., Podolny J.M. (2001), Strategic management, Wiley, Chichester. Sawhney M., Verona G., Prandelli, E. (2005), Collaborating to create: The Internet as a platform for customer engagement in product innovation, Journal of interactive marketing, 19, 4, pp. 4-17. Shneiderman B. (2007), Creativity Support Tools: Accelerating Discovery and Innovation, Communications of the ACM, 50, 12, pp. 20-32. Shahrokhi M. (2008), E-finance: status, innovations, resources and future challenges, Managerial Finance, 34, 6, pp. 365-398. Shim J.P., Shin Y.B., Nottingham L. (2002), Retailer web site influence on customer shopping: exploratory study on key factors of customer satisfaction, Journal of the Association for Information systems, 3, 1, p. 3. Shipilov A, Godart F.C., Clement J. (2017), Which boundaries? How mobility networks across countries and status groups affect the creative performance of organizations, Strategic Management Journal, 38, 6, pp. 1232-1252. Doi: 10.1002/smj.2602. Sindhu D., Sangwan A. (2017), Optimization of Business Intelligence using Data Digitalization and Various Data Mining Techniques, International Journal of Computational Intelligence Research, 13, 8, pp. 1991-1997. Stone M.D., Woodcock N.D. (2014), Interactive, direct and digital marketing: A future that depends on better use of business intelligence, Journal of Research in Interactive Marketing, 8, 1, pp. 4-17. Doi: 10.1108/JRIM-07-2013-0046. Strain N.A. (2013), Strategic intelligence role in the management of organizations, Public Administration, 13, 2, p. 18. Subrahmanyam A. (2008), Behavioural finance: A review and synthesis, European Financial Management, 14, 1, pp. 12-29. Swamynathan G., Wilson C., Boe B., Almeroth K., Zhao, B.Y. (2008), Do social networks improve e-commerce? : a study on social marketplaces. In Proceedings of the first workshop on Online social networks ACM, pp. 1-6. Taatila V.P., Suomala J., Siltala R., Keskinen S. (2006), Framework to study the social innovation networks, European Journal of Innovation Management, 9, 3, pp. 312-326. Tallon P.P. (2013), Corporate governance of big data: Perspectives on value, risk, and cost, Computer, 46, 6, pp. 32-38. Tan T.T.W., Ahmed Z.U. (1999), Managing market intelligence: an Asian marketing research perspective, Marketing Intelligence & Planning, 17, 6, pp. 298-306. Doi: 10.1108/02634509910293124. Tiago M.T.P.M.B., Verìssimo J.M.C. (2014), Digital marketing and social media: Why bother?, Business Horizons, 57, 6, pp. 703-708. Tierney P., Farmer S.M. (2002), Creative self-efficacy: Its potential antecedents and relationship to creative performance, Academy of Management journal, 45, 6, pp. 1137-1148. Tovstiga G. (2010), Strategy in practice. A practitioner’s guide to strategic thinking, Wiley, Chichester. Trippi, R.R., Jae K. (1995), Artificial intelligence in finance and investing: state-of-the-art technologies for securities selection and portfolio management, McGraw-Hill, Inc.
Ulrich F., Mengiste S. (2014), The challenges of creativity in software organizations. In: International Working Conference on Transfer and Diffusion of IT, Berlin, Heidelberg, Springer, pp. 16-34. Varadarajan P.R., Manjit S. (2002), Marketing strategy and the internet: an organizing framework, Journal of the Academy of Marketing Science, 30, 4, pp. 296-312. Vitolo C., Elkhatib Y., Reusser D., Macleod C.J., Buytaert W. (2015), Web technologies for environmental Big Data, Environmental Modelling & Software, 63, pp. 185-198. Doi: 10.1016/j.envsoft.2014.10.007. Vercellis C. (2011), Business intelligence: data mining and optimization for decision making, John Wiley & Sons. Veugelers M., Bury J., Viaene, S. (2010), Linking technology intelligence to open innovation, Technological forecasting and social change, 77, 2, pp. 335-343. Visconti F., Valentini G. (2004), L’innovazione nella gestione strategica, in Invernizzi G. (a cura di), Strategia e politica aziendale: testi, Milano, McGraw-Hill. Wagner C. (2004), Enterprise strategy management systems: current and next generation, The Journal of Strategic Information Systems, 13, 2, pp. 105-128. Doi: 10.1016/j.jsis.2004.02.005. Wang J., Pardalos P.M., Shen Y. (2017), A Novel Method of Finance Market Regulation Based on Control Over-shoot, Journal of Systems Science and Information, 5, 5, pp. 385-394. Watson H.J., Wixom B.H. (2007), The current state of business intelligence, Computer, 40, 9. Wixom B., Ariyachandra T., Douglas D.E., Goul M., Gupta B., Iyer L. S., Kulkarni U., Mooney B.J.G., Phillips-Wren G., Turetken O. (2014), The current state of business intelligence in academia: The arrival of big data, CAIS, 34, 1. Wymbs C. (2011), Digital marketing: The time for a new “academic major” has arrived, Journal of Marketing Education, 33, 1, pp. 93-106. Doi: 10.1177/0273475310392544. Yao Y.Y., Zhong N., Liu J., Ohsuga, S. (2001), Web Intelligence (WI) research challenges and trends in the new information age. In Web intelligence: Research and development, pp. 1-17, Berlin, Heidelberg, Springer. Yao Z., Sarlin P., Eklund T., Back B. (2014), Combining visual customer segmentation and response modeling, Neural Computing and Applications, 25, 1, pp. 123-134. Yoon S.H., Park J.S., Kim M.S., Lim C., Cho J. (2014), Behavior signature for big data traffic identification. In: Big Data and Smart Computing (BIGCOMP), 2014 International Conference on IEEE, pp. 261-266. Yusuf S. (2009), From creativity to innovation, Technology in Society, 311, pp. 1-8. Zhou A.Z., Fink D. (2003), The intellectual capital web: a systematic linking of intellectual capital and knowledge management, Journal of intellectual capital, 4, 1, pp. 34-48. Doi: 10.1108/14691930310455379.